These floating bead forged copper earrings will soon be your daily favorites! Not only are they unique, they are fun and one of Mountain & Skye’s best selling earrings! 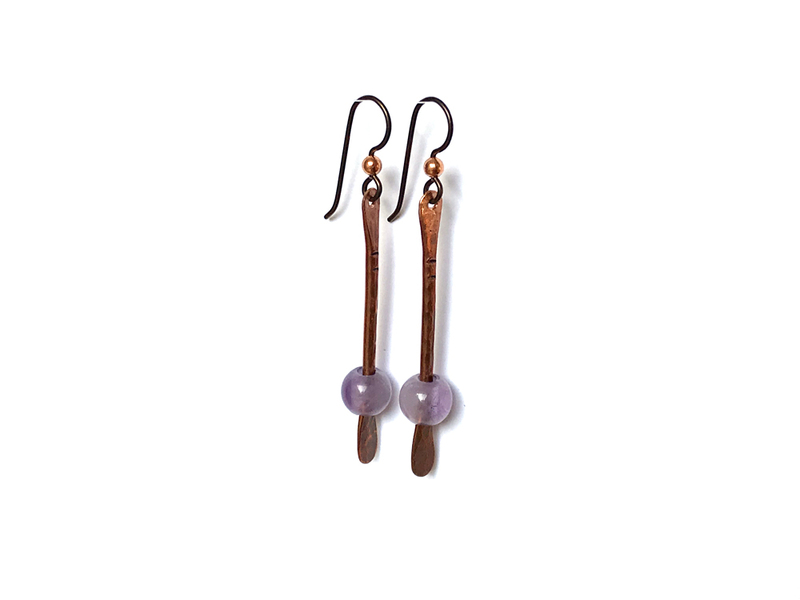 These earrings feature round amethyst beads varying in shades of white to purple. Please refer to the additional pictures to choose which pair of earrings you would prefer. Approximately 1.75″ long from bottom of earwire.